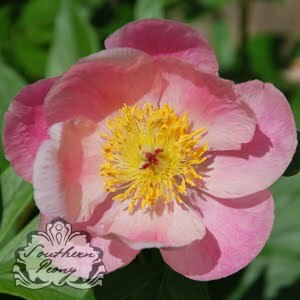 Southern Peony now has 50 peony pictures in our Photos section! This month, for February, we are featuring the soft pink Peony 'Roselette' on our main page and have also added it to our peony Photos page. Each month we add a new peony photo to our main page and to our Photo archive. That way it steadily grows and gives you all something new to look at (and lust after). ;-) This archive can also be used as a reference for identifying your own peonies or finding new ones you'd like to grow. I started this project in 2012, adding watermarks and larger photos in 2013, wrote about it in 2014 Southern Peony Photos, and it has been growing steadily since. If there is particular peony in my Inventory list that you'd like me to add a photo of, please leave a comment and let me know or send me an email, and I will try to add it if I already have a good photo of it. If I don't already have a good photo of it, I will try to get one this spring! Happy (Peony) Gardening!